I love Patria! This last weekend was our 10 year wedding anniversary. I have to say the last 10 years of my life have been some of the most fun and exciting years of my life. She has helped me become a better husband, father and person. If it wasn't for her I would have never worked as a commercial diver, she is the one that talked me into getting PADI certified with her in Fiji. If it wasn't for her I would have never lived in NYC where I experienced the creative energy that started my career as a photographer. If it wasn't for her I wouldn't be the person that I am today. And if it wasn't for her I would have never swam with the sharks. Thank you for the great weekend Patria, I love you! Congratulations Mark! That's so amazing, 10 years!?! 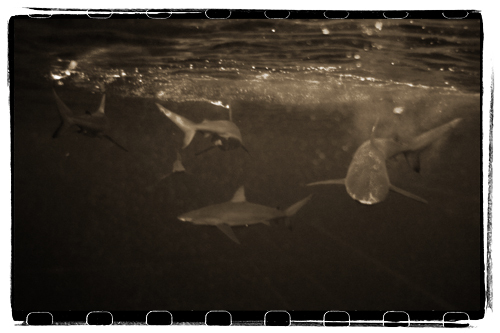 Swimming with the sharks is defiantly a rememberable anniversary! Hope your next 10 years is just as good as the first, if not better! Congrats again!